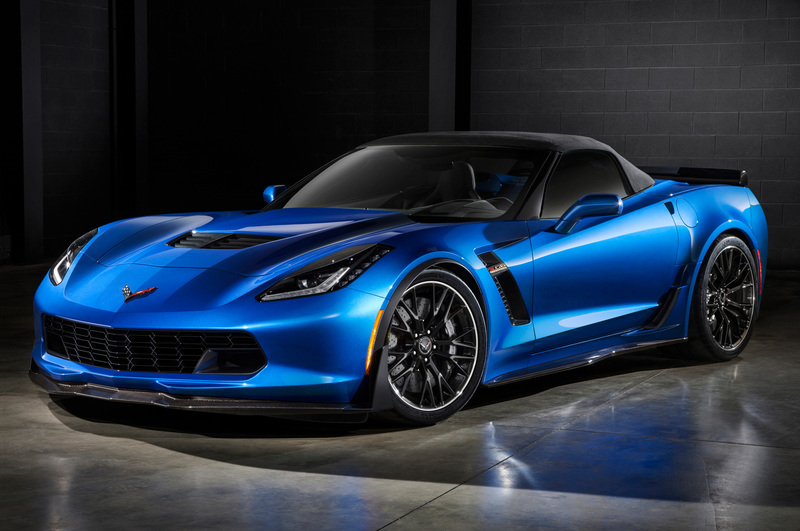 Besides large investments, Chevrolet was required five years dome tests to construct the fastest serial model – new Corvette Z06. It named so in honor of rare racing version Stingray of 1963. The first sales in Europe are planned on the end of 2006. To this car to eat than brag. On Corvette costs V8 the biggest in the history of displacement Chevrolet – seven liters with a small hook. And now present also dispersal to “hundred” for 3,7 with and the maximum speed of 319 km/h! It is more emotional Corvette, than all previous. Thanks to wide cut on air intake for breathing arrives to it in front whereas usual C6 has from below. Wheel arches too are wider. Exhaust pipes in appearance remind a wind quartet. Short “the duck tail” reduces upward force. In the rest it is usual low, long-nosed Corvette. Concerning an interior there are two news. Good – the wheel decreased in diameter on 2 see And bad – materials of furnish are not become better. However, attempt to be corrected was: in States, probably, considered that to us, Europeans not to do without several pieces of soft plastic and an abundance of the stitched skin. The Head-up-display, unlocking of doors without a key and inclusion of a starter by the button now in the standard, and here DVD and 7-speakers Hi-Fi audio system Bose – an option, but worth the price. Inside decent quantity of places to put small things and secret spaces plus huge (for a sports car) luggage compartment – 640 liters! Actually, uniting this practicality with reserved enough sounding of the engine below 3000 turns, Chevrolet created sports car by which it is possible to go every day. And though respectability and economy usually together do not live, it is the first class car which skillfully avoids usual for American “devourers of gasoline” requisitions. For example, to Lamborghini Gallardo cost this tax adds $6400. Rather easy clutch pedal does Corvette simple in steering. A wheel fast and informative, it is absolute without hysterics. And here to heavy, but exact switching’s of six-step box Tremec should get used. It after all developed for drive of a huge twisting moment. The box is attached to cylinder block Chevy chiseled to 7011 cm3. On an exit at it of 512 h.p. and 637 Nanometers – on 108 h.p. and 90,8 Nanometers more than at usual (and very fast) Corvette. The new engine was developed together with Le Mans Corvette C6R. To achieve working 7000 rpm, connecting rods and inlet the valve are made of the titan, other details are facilitated also. Dispersal storm! 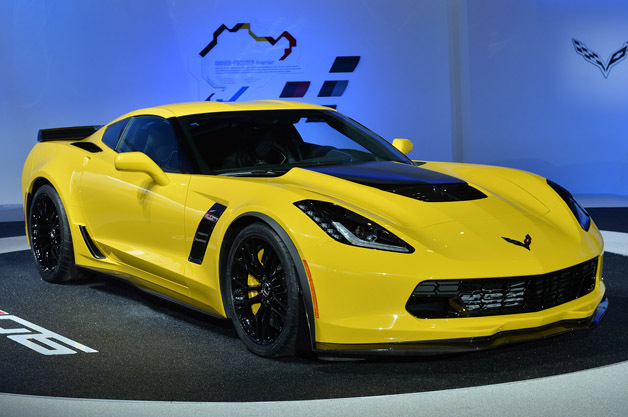 Z06 reaches 160 km/h hardly in more than for 7 seconds. Also jumps over a barrier of 300 km/h that any car from stable GM is not able. Press on gas – this monster does not give you mercy! The chassis is balanced: it gradually slackens clutch from expensive lobby or a rear axle, how you play pedals. The car smoothly goes on rough asphalt and is not lost on potholes in turning movement. The punched ventilated brakes sport huge 6-cylinder (in front) and 4-cylinder (behind) calipers. They are very reliable and do not lose a grasp at heating. Ceramic brakes, as well as on Porsche 911, appeared to the expensive to enter into the list of the regular equipment. But such option appears ($3600). Contrary to usual representations about the big and fast American sports car, roadability Z06 combines in itself accuracy and refinement. Appreciably because it weighs only 1421 kg, that is rather easy, especially if to remember the sizes of the engine. Instead of a steel, as on usual Corvette, here – carbon, aluminum, magnesium brackets of the engine and a suspender. All it reduces weight. Also allows to distribute better it is even the accumulator for this purpose moved to a luggage compartment. On a track he swallows of circles, balancing on a reasonable safety limit. System of dynamic stabilization it is possible to disconnect or choose a mode “Competition” then the electronic stranglehold diminishes and allows to slip. At first to steam of circles on a 5-kilometre line by means of electronics, and then, getting gradually used to the car and a line, we disconnect all. Even a mode “Competition”. But the most difficult sites do not frighten. But the most radical Corvette guarantees to the driver a happy end at any scenario. It strong enough costs on wheels to amuse the most advanced owners, is and still quite comfortable constantly to drive about on it on a city. And for those who seriously reflects on purchase, there is one more weighty advantage. It is the price. In speed Z06 does not concede Lamborghini Gallardo or Ferrari F430, but for the price of each of them you can buy two Corvette Z06 cars.